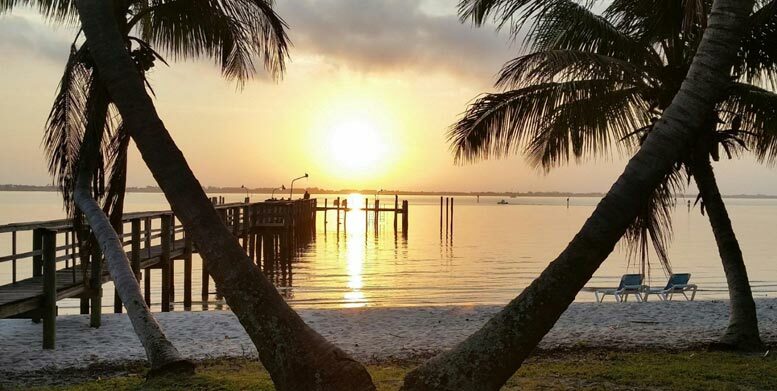 River Palm Cottages & Fish Camp is a vacationer’s and fisherman’s paradise. Twenty-three Key West style guest quarters are scattered among 7.2 acres of lush tropical plants and over eighty varieties of edible plants , fruits and medicinal herbs. A favorite place on the property is an authentic Seminole chickee hut, built by the Seminole Indians in 1998. It is a popular place for weddings and wedding receptions, family reunions, birthday parties and special events, accommodating up to 250 guests. The privacy of the cottages also makes this an ideal place for quiet local getaways. It’s a pet friendly place (with lots of squirrels to chase). The Driftwood Motel has beautiful South Florida Cottages for rent for short-term stay and long-term stay accommodations. Our small cabins in Jensen Beach, FL make for very comfortable lodging. Be sure to check out our South Florida Honeymoon / Honey Moon Suites. We also cater to weddings offering lodging to wedding parties. You can rent the entire motel for your guests at affordable wedding package hotel rates. 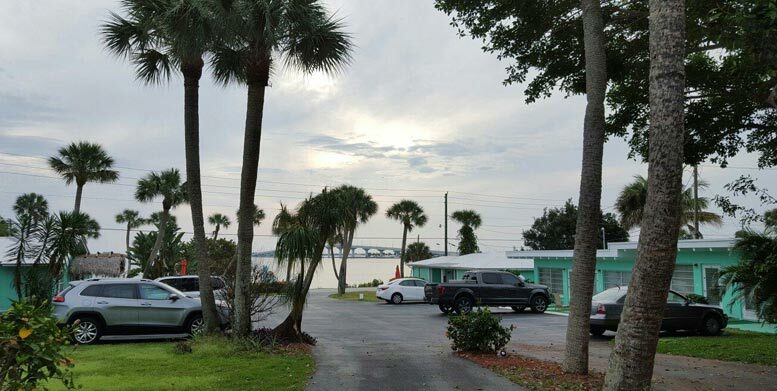 Quietly nestled on the banks of the tropical Indian River, this historical “Old Florida” motel with private fishing dock takes us back to a more simple time.